I have been enjoying great food so much that I don’t feel like I am dieting at all. I even feel a little guilty. Lol. But I keep reminding myself that at least I haven’t eaten any refined sugar or white flour or rice and I am having a fair share of raw vegetables in salads. It has been great so far. So here are some tips that have helped me and I hope they help you too if you are trying to eat clean. 1. Eat honey instead of sugar. I have found that honey replaces sugar in almost every recipe in which I need sugar. I made some homemade yogurt and sweetened it with honey instead of the usual sugar. It tastes AMAZING! I sweeten my breakfast oatmeal with honey and it is great. I also used honey to make granola this morning (a mixture of oats and other ingredients) and it didn’t disappoint! So honey rocks! But here are some things to note about honey: Get raw honey for best results. Honey has some calories so if you are looking for a non-caloric sweetener, try something like stevia instead. 2. Eat Couscous instead of white rice. Couscous is so good that when I enjoyed it I had to go back and ask Mr. Google is it is indeed a healthier alternative to white rice. It really is! I have made couscous like jollof rice and it tasted great. I have also served it in place of rice with stew and all plates were cleaned. In fact, my kids love it so much, probably more than rice! If you do not know what couscous is, it is a grain made out of semolina and it has lots of fiber. You can Google it to read more. READ ALSO, Between White and Brown Rice Which is better? Water has been a lifesaver! Sometimes when you feel you are hungry, you actually aren’t, you just need to drink some water. So drink up, friend. The only side effect you’ll have is peeing a lot. 4. Buy fruits and veggies in season or those cheaper. I’m smiling molar to molar because I had a major grocery haul at my grocery shop. 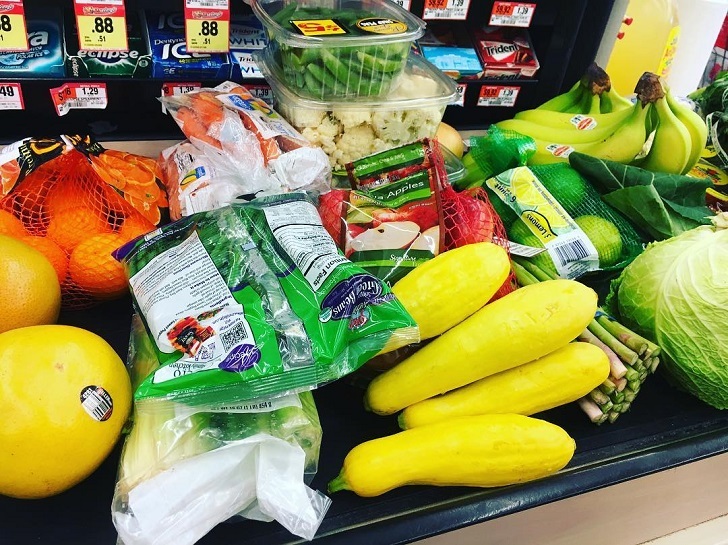 I bought all the fruits and veggies which were cheaper than the others. So I got more for less! READ ALSO, Why you should eat plenty of different fruits and vegetables? 5. Stick to your way and keep going! What is your reason to want to eat clean? Stick to it. If possible, write it on a paper and stick where you can see it every day. That way when you read it, it stirs you up. And that, my friends, are some tips to help you in this season. If you have other tips to share please do so below in the comment section.